COLUMBUS (WCMH) -- A woman has died days after she was shot in the Hilltop area. 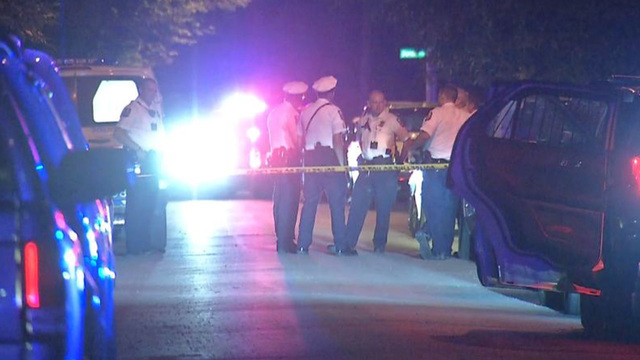 According to the Columbus Division of Police, at about 11:18pm, Wednesday, May 23, officers were arriving at a call for a person with a gun at a home in the 100 block of Columbian Avenue, when a shooting occurred. Police say the suspect, E'Lorna B. McCallum, 26, had shot Latasha Dailey, 34. Dailey was taken to Mt. Carmel West Hospital in extremely serious condition. Dailey remained in the hospital for multiple days, but died from her injuries on May 26. McCallum was originally charged with attempted murder, but after Dailey's death police say her charges will be changed to murder. Anyone with information on this shooting can call the CPD Homicide Unit at 614-645-4730 or Central Ohio Crime Stoppers at 614-461-8477.